Returns on Hard Good Materials will be allowed for up to 21 days past the original purchase date. Returns on Hard Goods are not allowed past the 21 day limit. All Hard Good Products sold by Benson Corners Greenhouse are considered seasonal hard goods and suffer from diminished value when returned later than 21 days past the original purchase date regardless of condition. Live Plant Material returns are allowed for up to 7 days past the original purchase date provided Benson Corners Greenhouse Staff considers the product to be in the original condition. 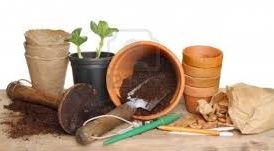 Live Plant Material items are considered to be seasonal products and suffer from diminished value when returned later than 7 days past the original purchase date regardless of condition. Live plants are sensitive to changes in their environment. All plants residing in the greenhouse are in a carefully controlled climate. This climate has been constructed and is operated in order to provide the most ideal growing conditions for the plants. Because of this, the plants leaving the greenhouse will be especially “soft” as they have not experienced deviation from prime conditions. When plants leave the prime growing conditions provided for them in the greenhouse it is important that they are provided with growing conditions which are conducive to happy plants. It is unlikely that customers will be providing an environment that is equal to that from which they are coming and this should be expected to cause the plant to under go an acclimation period, especially on lines that are more sensitive. This should not be a concern, and the plants will adjust. However, if plants are taken from the greenhouse and not just exposed to normal deviations from ideal growing conditions, but exposed to detrimental conditions they will display symptoms much worse than just a normal acclimation period. If this is the case, plant material will not be considered returnable. If this is the case a customer is welcome to bring the plant material back to Benson Corners Greenhouse in order to receive advice on what has gone wrong, and instructions on how to nurse the plant back to prime health. However, because Benson Corners Greenhouse is not in control of what conditions the plant material will experience once it has left our facility we will not hold ourselves accountable for the condition of the product once it has been sold. This means no returns, refunds, or exchanges will be provided on damaged or dead plant material. This includes nursery stock from one year to the next. We simply do not feel it appropriate to push the cost of one customer’s mistake on to everyone else. Purchases originally made on a credit or debit card will only be returned to that card. Purchases made with cash will be returned for cash, and purchases made with a check will be returned for in store credit only. All returns require that the customer provides a valid State Issued Identification and an original sales receipt.